Origin: Mediterranean region from Spain to Jordan (Aleppo is a historical city in northern Syria). Landscape Use: Park tree, industrial, large commercial, or civic landscapes. Not for residential landscapes because of great size. Form & Character: Decurrent pine, large, rugged, irregularly branched, upright and globose to somewhat assymetrical with age. Growth Habit: Woody evergreen perennial tree, massive to 60 to 80 feet in height with nearly equal spread, young branches and twigs limber and gray, not symmetrical or excurrent in habit. Foliage/texture: Two needles per fascicle that are only 2 to 4 inches long, medium coarse texture because of thick plated trunk and bulky, muscular scaffold branches. Flowers & fruits: Pines are monoecious (male and female strobili born on same tree), flowers spring, male strobili on lower part of tree and female strobili on upper part of tree, female cones persistent, ripen in fall, trees must be 15 to 20 years old to bear cones. Temperature: Heat tolerant, although needle foliage tends to yellow during summer heat in Phoenix and persists throughout the fall until the weather cools in the early winter. Watering: Water deeply and infrequent, especially in summer. Does very well in flood irrigated portions of Phoenix. Pruning: Crown raise the canopy base height as needed. 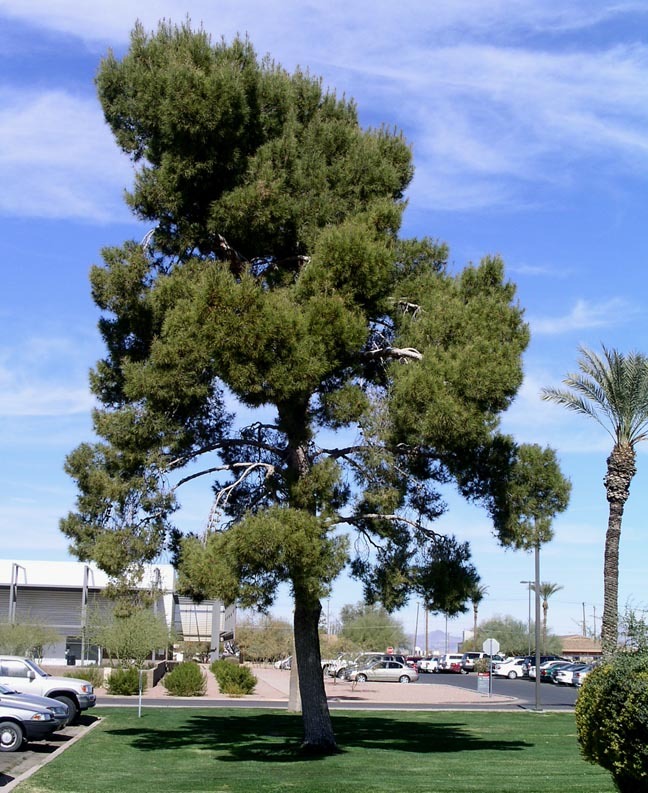 Disease and pests: Aleppo pine blight is common in the Phoenix area and might (the evidence is inconclusive) be caused by a pine feeding mite (Oliginychus milleri), which are extremely small, inconspicuous and produce no webbing like the red spider mite. The symptoms of pine feeding mite damage that contribute to Aleppo pine blight include the graying and browning of entire large branches which appear to suddenly 'die back' in late fall and winter. Most often the needle foliage of these same branches will return to a normal green color the ensuing spring, though others might die. Additional comments: This pine is generally NOT recommended for use in small residential yards because of it's large size. It also sheds copious amounts of needles especially during fall. 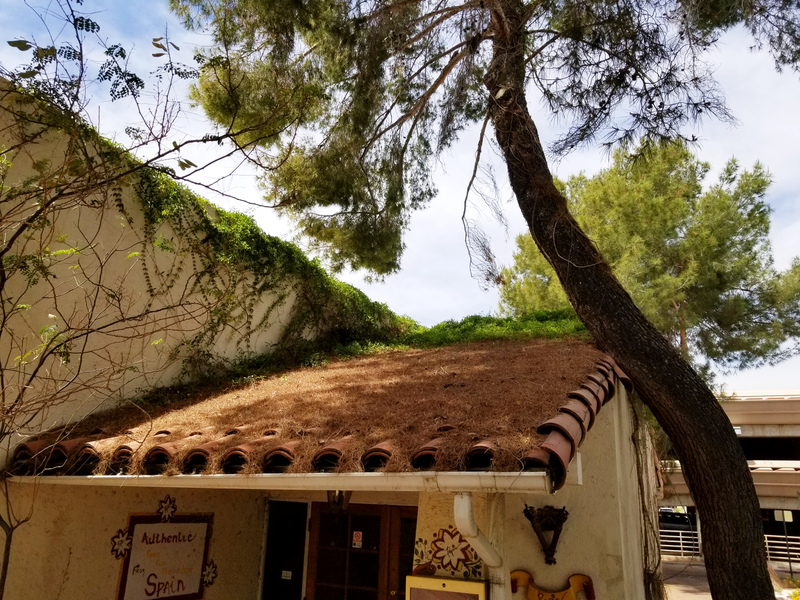 It is very tolerant of southwest desert to maritime urban conditions and is the most widely planted ornamental pine species in the Southwest United States. 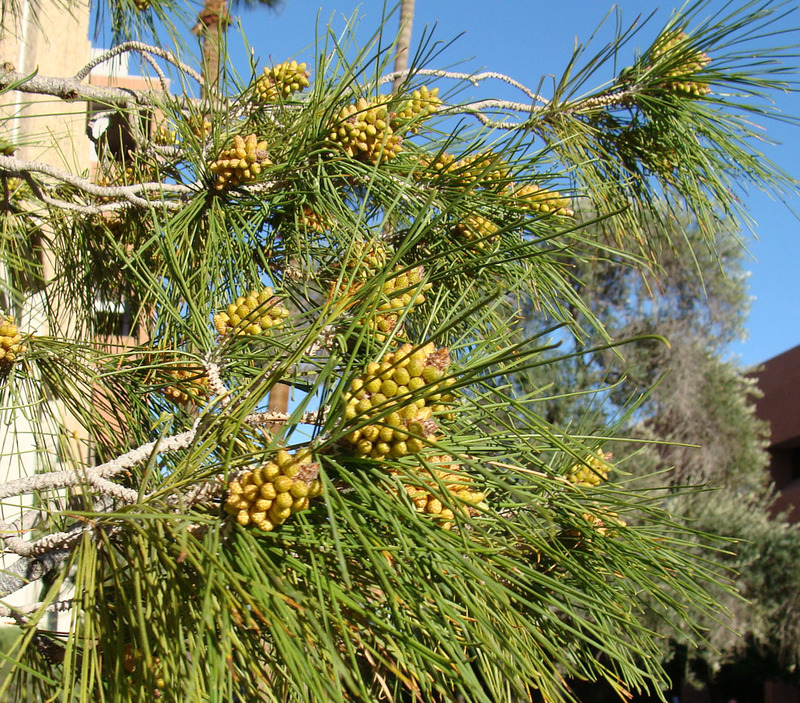 Aleppo pine was first cultivated in North America long ago in 1683. Ancient carving in Syria show Aleppo pine cones and the ancient Greeks traditionally cut down an Aleppo pine every year, decorating it with flowers and ribbons in honor of the god Attis (a practice warned against by the prophet Jeremiah in the Bible's Old Testament - Jeremiah Chapter 10, Verses 2-5). This tree cutting custom is believed to have been adopted by the Roman Catholic Europeans in honor of Christ, making the Aleppo pine the first 'Christmas tree'.